Lago di Braies (also known as Pragser Wildsee in German) is the jewel in the Italian Dolomites' crown. For those of you who haven’t heard of it, it’s a crystal blue lake located beneath an amphitheatre of rock. 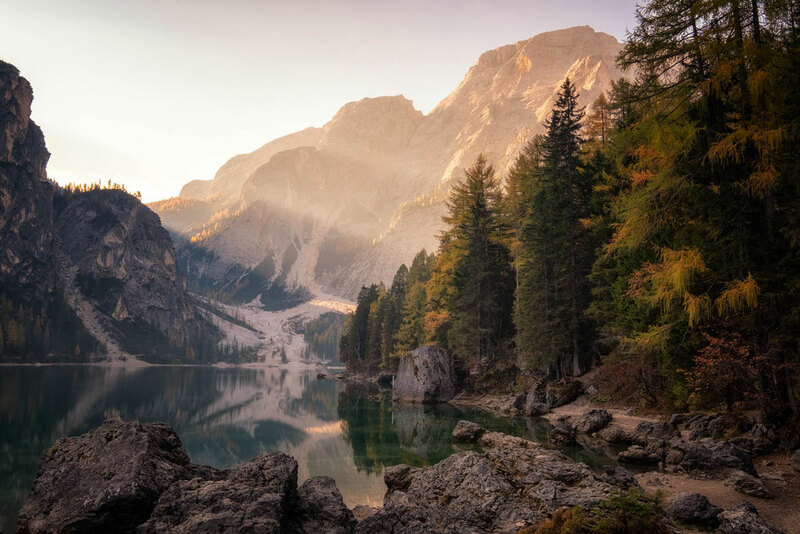 Majority of people who visit the lake, only go as far as the boat jetty located only 100 meters away from the carpark, but if you want to escape the crowds and dip your toes into the World of hiking, this beginner trek is for you! 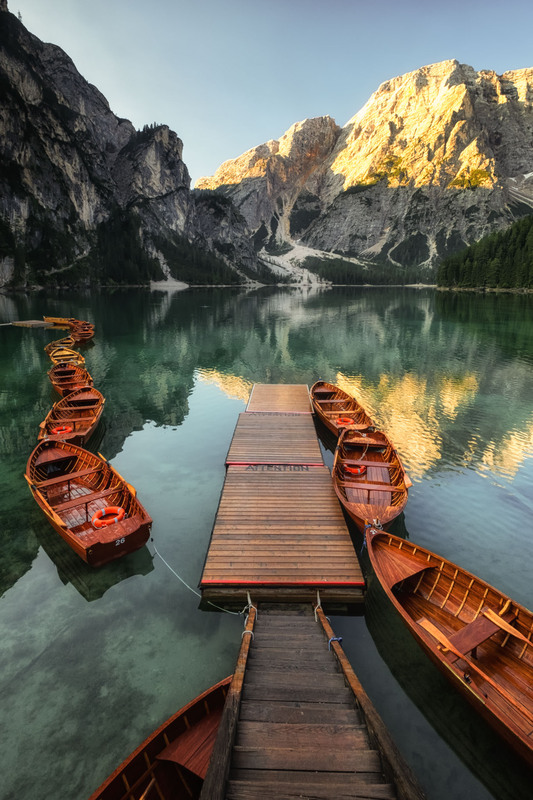 There are 4 paid car parks along the road close to Lago di Braies. 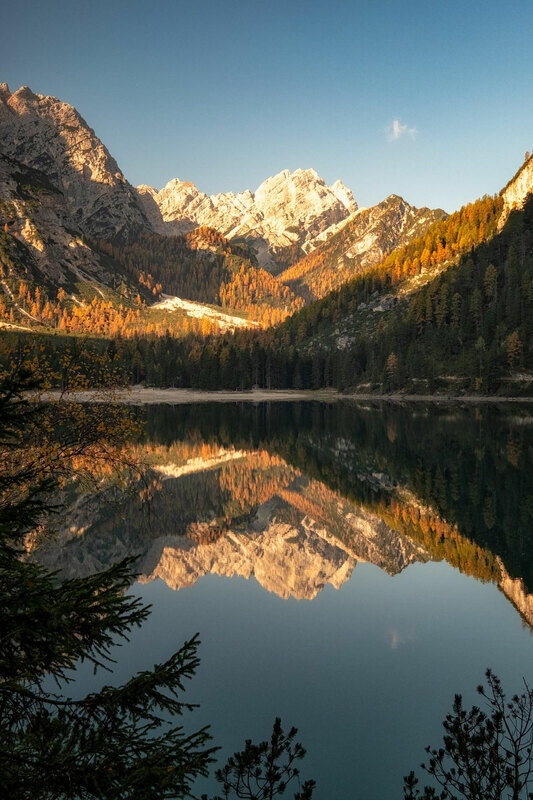 The two closest are a couple minutes stroll from the lake's shore and cost as much as 20 Euros per day. The further two are between 20-30 minute walk away. On a busy day car parks fill up as early as 10am and the road leading to them is stuffed with traffic. The whole system is a bit chaotic and often queues of cars are waiting in long jams for hours just to be turned around further ahead. Arrive early, even earlier than early to avoid disappointment! 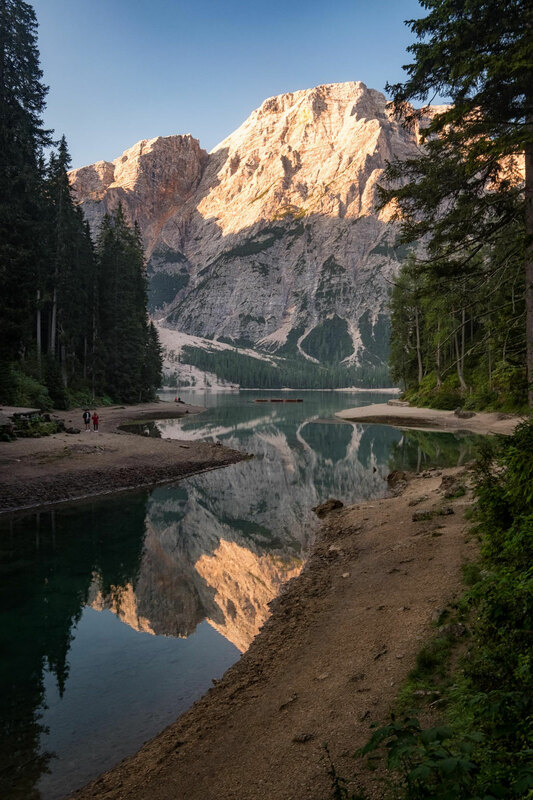 There is also a public bus nr 442, route: Braies di Dentro/Innerprags – S. Vito/St. 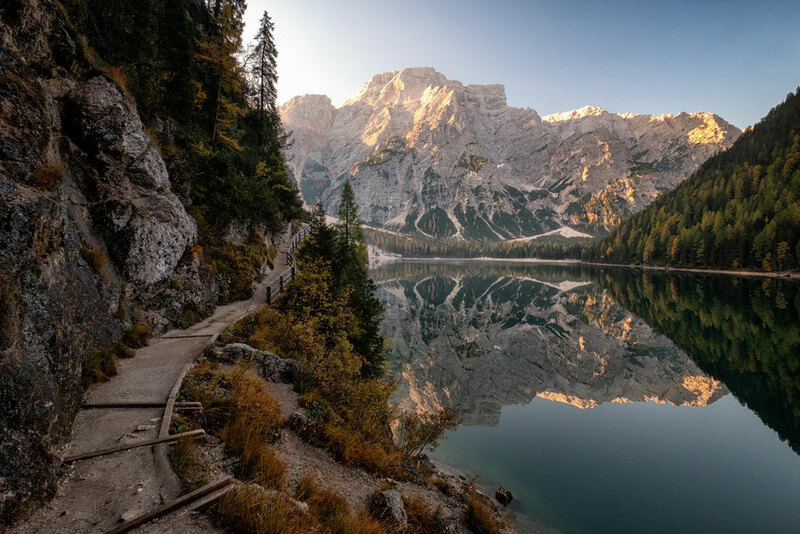 Veit to the Lago Di Braies but it's often caught in the queue of cars and moving nowhere. To be honest the whole system is a bit chaotic. 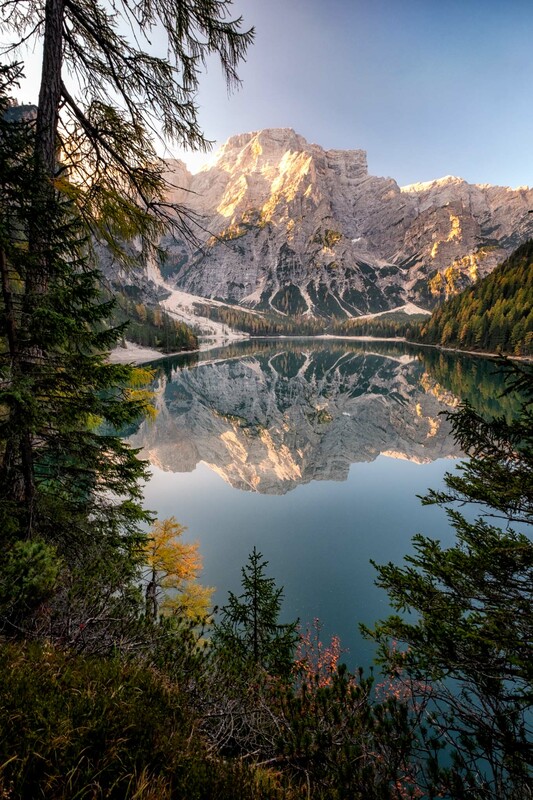 For more information on how to get to Lago di Braies by bus go here. 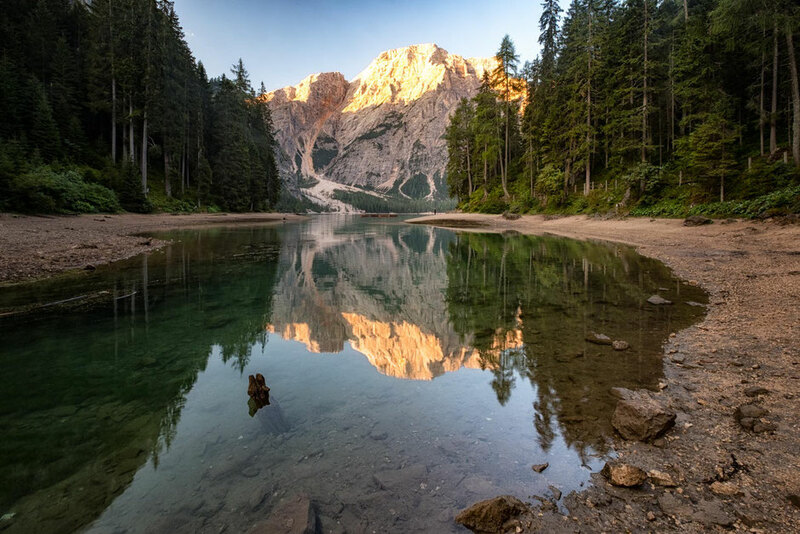 If you can't make it there before 9am go somewhere else such as Lago di Dobbiaco just around the corner, or Lago di Landro about 30 minutes away and come back later in the day when the crowds disperse. If you do manage to get there, the loop around the lake can be done in around an hour without stopping. On a nice day the far end of the lake is a great place for a picnic or a sunbathe. There is even a little beach where you can hang out. Just bear in mind that swimming in the lake is prohibited. If you think you’ll need the toilet, go in the restaurant or in the car parks, the toilets on the far side of the lake are not the best. Similarly to the car park costs, the price for canoe rental has seen a big increase to 25€ an hour as of 2018. The circuit around the lake can be done either clockwise or anticlockwise. I recommend going clockwise. There is really not much explaining to do about the route. Just follow the path along the shoreline and enjoy the views! No maps, navigation skills or even hiking boots needed. 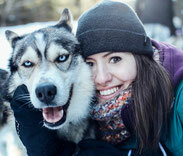 This is as easy as it gets in the World of hiking! The allure of the lake is somewhat tarnished by its popularity. In the morning arguments between groups of photographers are common and people breaking into the boathouse to pose on the jetty before it opens is at times hilarious, at times annoying. Go see it, just don't expect to be there alone, that's all I am saying. 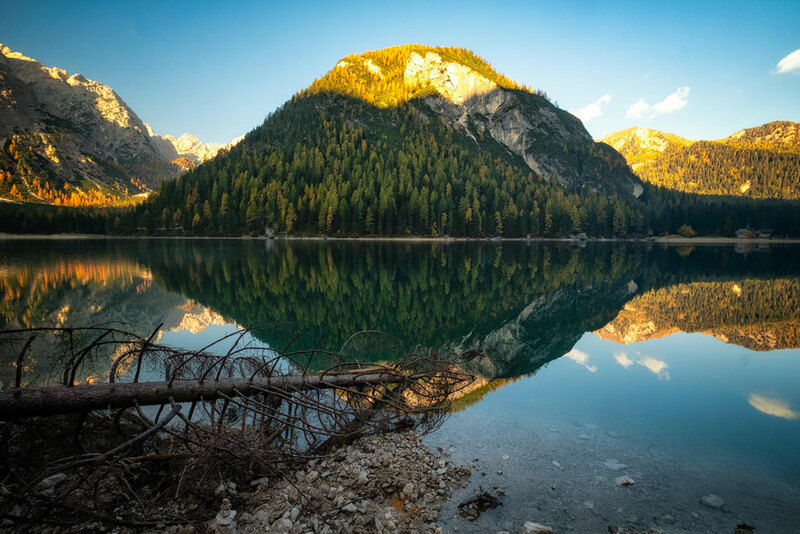 Have you get any questions about visiting Lago Di Braies/Pragser Wildsee or would like to share your own experience? Post it in the comments below!